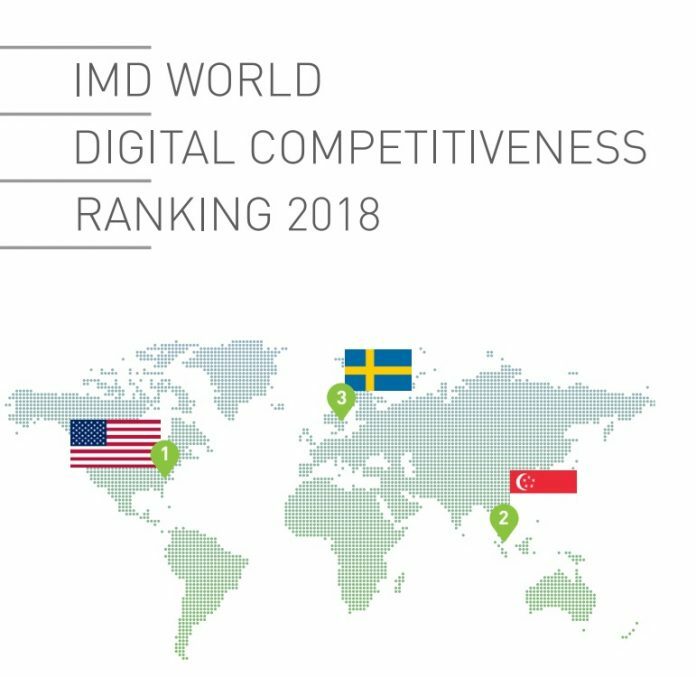 According to the IMD World Digital Ranking 2018 report, Malaysia has dropped three places in its global ranking in digital competitiveness. The USA leads the rankings followed by Singapore, Sweden, Denmark and Switzerland. The IMD report 63 economies. This year the majority of countries in the study experienced an improvement in their level of digital competitiveness. About 40% of the sample shows a decline while only eight economies remain in the same position. Singapore and Hong Kong lead the Asia Pacific region. Although Singapore drops 2nd position and Hong Kong drops to 11th position, Korea improves five places to 14th and Japan advances five places to 22nd position. China slightly improves to 30th as does Thailand to 39th and India to 48th. These countries all share progress in the technology factor, ranging from improvements in connectivity systems to tech-friendly regulation. In contrast, Taiwan drops to 16th, Malaysia declines from 24th to 27th. Dropping three ranks to 62nd in the overall digital ranking, Indonesia is the lowest ranking country in the region. 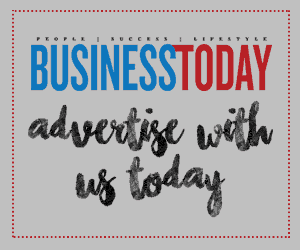 The development of highly-skilled workers is a key-challenge for the country. In turn, it affects the capacity for technological development and the integration of new technologies in the private sector and in society, which lead to low scores in the technology and future readiness factors. Introduced for the first time in May 2017, the ranking quantifies the rapid technological transformations that countries are undergoing, providing a tool for decision-makers in the public and private sectors to interpret and address these changes. The objective of the digital competitiveness ranking is to assess the extent to which a country adopts and explores digital technologies leading to transformation in government practices, business models and society in general. In addition it provides firms the ability to find better opportunities to strengthen future value creation. The ranking draws upon 50 selected indicators divided into three factors, Knowledge, Technology and Future Readiness. The knowledge factor refers to intangible infrastructure, which underlines the process of digital transformation through the discovery, understanding and learning of new technologies. The technology factor assesses the overall context through which the development of digital technologies is enabled. Finally, the future readiness factor examines the degree of technology adoption by government, business and society in general. The IMD World Competitiveness Center is a research group at IMD business school in Switzerland with 30-years of research expertise in the field of country competitiveness.